No matter how regularly you dust, or how organized you try to keep all your odds and ends, keeping your house spotless all the time can be a near impossible task. Even more so if you have a busy day-to-day life that doesn’t allow you to be home for the better part of the day. Lucky for you, there are a lot of apps out there that can help make it easier to maintain a clean house so that you’re not faced with a massive mess to clean up all at once. This app was designed by parents who know firsthand how difficult it can be to manage a cleaning schedule. 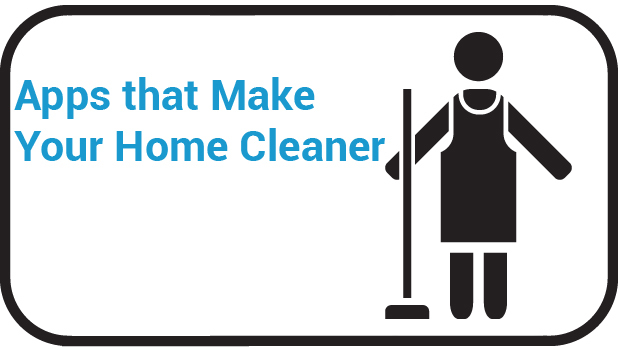 Clean Freak uses the “divide-and conquer” approach, by splitting up chores into small tasks. The app encourages users to do an item every day, and check it off. To keep you from putting off cleaning day after day, the app will also show you how long its been since a task was last done. This app makes cleaning fun again with a hypnotic audio track that motivates you and even provides suggestions to make dusting, cleaning the bathroom, and doing the laundry more enjoyable. The more chores a person completes, the more points he earns which he can cash out for rewards, and better titles which range from “delinquent” to “chore hero”. No matter how much experience you have cleaning, there’s good chance a few time saving tips could go a long way in making your job a bit easier. This app educates you with tonnes of little tricks to make cleaning carpets, kitchens, bedrooms, and everything in between a lot easier and more efficient! This app helps you keep your house and the environment clean at the whole time. Calculate your carbon footprint, and then get tips on how to reduce it. You’ll enjoy advice on recycling, eco-friendly cleaning ideas, and more.